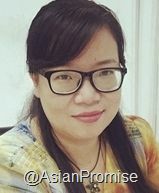 All "Our VIP Ladies" here are paid Chinese members. 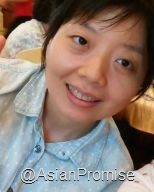 All members of Asian Promise can click the "Show your Interest" link below the photo of a lady to send her a message showing your interest. Paid members can also click on "Send Email" below her photo to send an email with your email address included. Upgrade your membership Now. 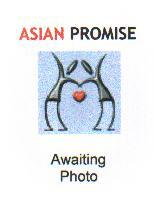 Those ladies who do not have an AsianPromise watermark/mark on their photo are from agencies. I am from Guangzhou, China. I enjoy a simple life. I spend the most of my time at home after work. On weekends, I play badminton with my frends and go to church. I like drawing. I teach children to draw at kindergarten. You are a Christian. You love God and people. You have a job. I am from Chengdu, China. I am simple, cheerful, love to communicate with honest people, love to laugh but cry easily when I am sad. I am easy to get along. I like singing, art, reading, hiking, badminton, cooking, beautiful clothes, woods, seaside and green land. I am looking for a man who has compassion, family values and the ability to love. A man who will treat my daughter as his own. I do not expect a perfect man as I am not perfect. But someone that is willing to talk so we can share any hurdles that we face. I am from Hubei, China. I am open, sincere, honest and straight forward. In my spare time, I like watching TV, reading novels and walking. I like pets. I don't have bad habits. No smoke, drink and gambling. Sometimes I cook nice food to share with family members. You are an honest, trustworthy and tolerant gentleman. Like me, you have a life goal. We can have a happy and stable life together. I am from Yunnan, China. I am a kind and mature lady with a good heart. I like learning new things, reading, traveling and cooking. I enjoy my job and doing exercise to keep fit. You are kind and sincere. You want to have a happy marriage. I am from a beautiful coast city - Qingdao, Shandong. I am a tender, kind and honest person. I like singing, listening to music, reading, doing exercise taveling and cooking. I like a simple life. I am looking for someone to marry and spend my life time with. You are honest, kind, caring and responsible. You have a good sense of humour. You enjoy living.